Fall solid back hunting hat. 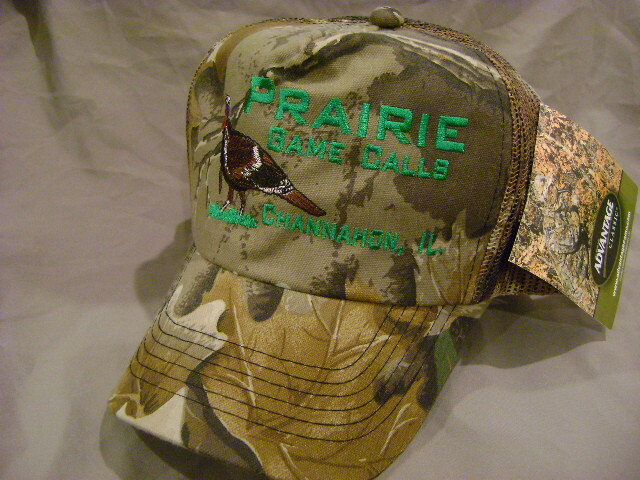 Features the "Prairie Game Call" logo and Mallard duck Swiss embroidered on the front of the hat. One size fits most. Free shipping!!!!!!!!! Spring hunting hat features a mesh back on cap to stay cool on those warm days of turkey chasing. 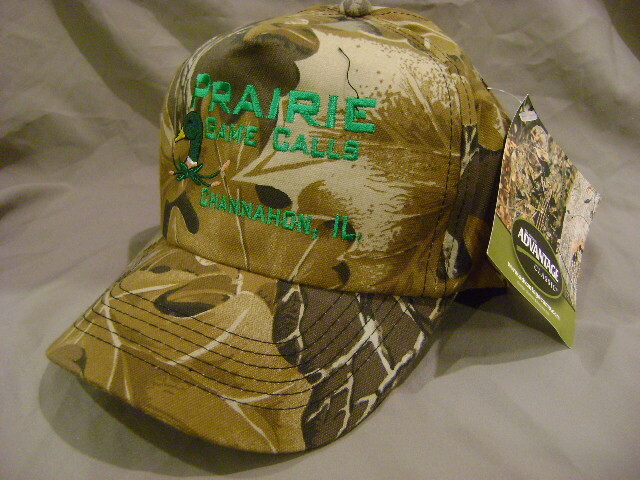 "Prairie Game Call" Logo and Long Breard Turkey Swiss embroidered on the front panel. Free shipping!!!!! These are hand made turkey Totes made from Whitetail Deer antler Sheds. Made to comfortably fit your hand and haul your bird out of the woods. I can also add your name or initials to the Tote engraved so your Buddies don't run off with it. Just let me know when you order the Tote what you would like to have engraved on it. 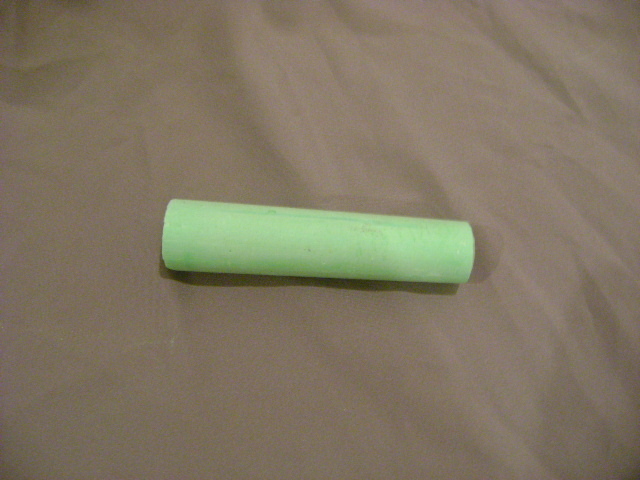 Large 4" stick of Box call chalk order more than one cause you always lose it in the woods! Free shipping with a call order! If added to other items your shipping will be refunded. Black Velour Box call bags measure 15" long and 6" wide. 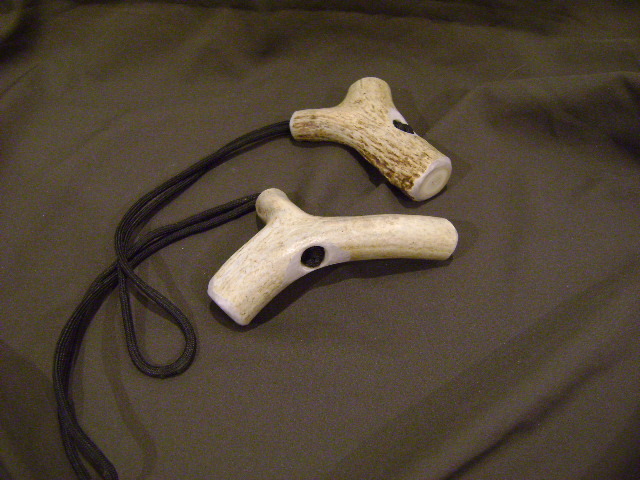 Perfect for short or long box calls. Keeps your calls in top shape. Package of 3 bags. These are Black Satin 5" x 7" Pot call bags to help keep your calls looking new. Pack of 5.